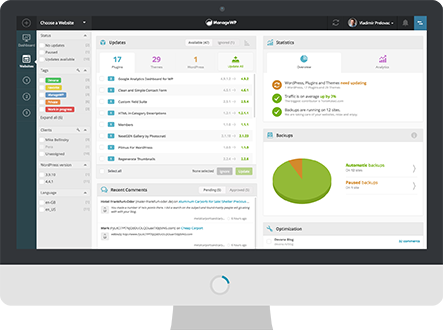 Opening the admin area of your site within ManageWP Dashboard using any other browser works flawlessly. The browsers that you may experience this issue with are the newest versions of Firefox and Chrome. 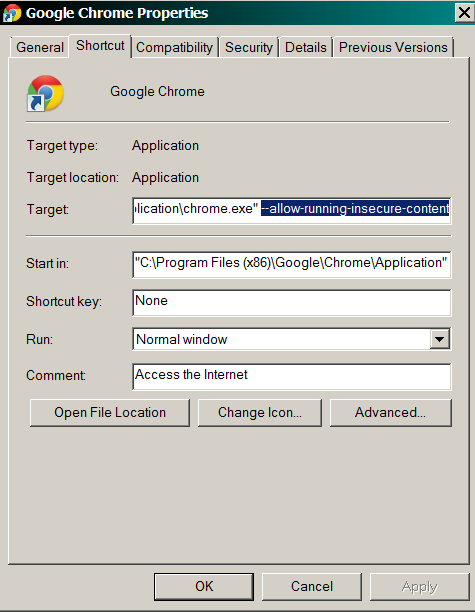 Since ManageWP is using HTTPS, the latest versions of Firefox and Chrome block all non HTTPS resources. Therefore, all non HTTPS websites are by default prevented from being opened inside ManageWP Dashboard. 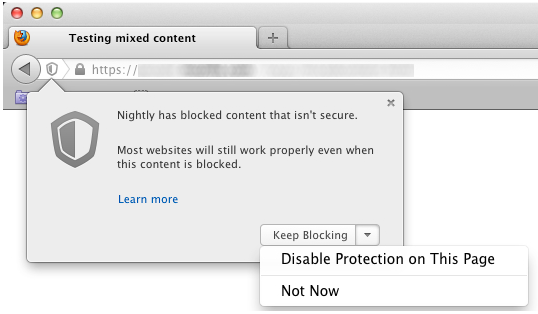 In Firefox, by clicking on the shield icon and choosing “Disable protection on this page”, you can add an exception for the current page and resolve this issue: which is not directly connected with ManageWP. This will prevent the reactivation of the shield icon when trying to open the admin area of your Dashboard inside ManageWP iframe. The potentially negative side of this is the fact that this setting will work for Firefox and all the sites opened inside it, which will turn off the mixed content protection. The procedure for disabling the mixed content blocker in Chrome is similar to the one in Firefox, except that the shield is located at the far right of the address bar. Though this option exists, we advise it only if the shield icon of Chrome at the top right is not visible. If it is, the best solution would be just to click on it and choose “Load unsafe script”. The alternative would be, if you wish for your sites to always open in new tab instead of iFrame, to set this option inside Settings > Basic.